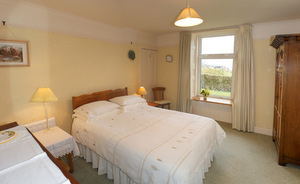 Welcome to Lochside Bed & Breakfast on the beautiful Isle of Arran. Lochside is a small family run Bed & Breakfast situated near Blackwaterfoot on the west coast. The Bed & Breakfast is in a peaceful location with views over the Kilbrannan Sound towards the Kintyre peninsula. All bedrooms with en suite facilities. Flat Screen Television and tea/coffee in all bedrooms. 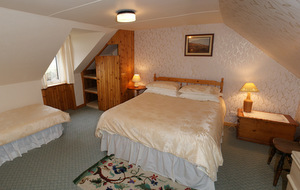 Full central heating throughout plus heater in each bedroom. Open most of the year for B&B. New sun room at the front of Feorline Shore! Please note we do not take payment by card, cheque or cash only please!